Tax Defense Network has been helping people with tax relief for 20 years; works with almost every tax problem in every state. Tax Defense Network comes highly recommended, with a full range of services from enrolled agents, tax attorneys, and CPAs. They’ve been in business since 1997, and over that time, they have developed a stellar reputation for serving customers’ needs. 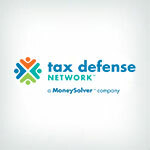 Tax Defense Network offers an impressive array of service options. Basic services include help with tax liens, wage garnishment, back taxes, and IRS appeals. They also offer rare services such as innocent spouse relief, bank levy, and tax audit help, which some of their competitors do not. Their team of dedicated Enrolled Agents, Tax Attorneys, and CPAs have acquired an impressive reputation, judging by numerous customer comments. Plus, there is no minimum tax debt size which they will service, so they are available to people of all income brackets. In business since 1997, they have developed their impressive reputation primarily through customer response. Tax Defense Network is available in all 50 states. According to a representative, they also have no minimum tax debt amount. This makes Tax Defense Network available to virtually everyone. As of 2017, Tax Defense is one of the few tax relief companies we have reviewed that displays average prices on their website. This transparency in an industry that doesn’t reveal prices until you call in and relay all of your information, is very impressive. According to the company’s website, average fees range from $2,500 to $3,000. The hundreds of comments about Tax Defense Network on our website are overwhelmingly positive, with most people rating it a 9 or 10. Most people say that the company does a great job at resolving tax debt, that they are reliable, accurate, and worth the money. Tax Defense Fund offers a money-back guarantee, but it’s only available for three days. This is a much shorter refund window than many of their competitors. In fact, some companies offer refund windows that range anywhere from 15 to 180 days. 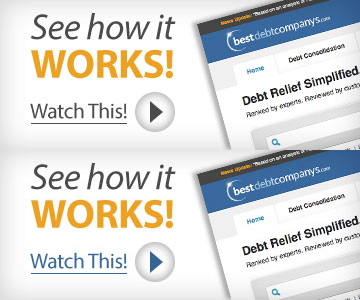 At the same time, keep in mind that many tax relief companies do not even have a money back guarantee. One complaint that appears a few times is that the company can be hard to get a hold of when dealing with problems or complications. Some customers had trouble speaking directly to an agent or attorney. Also, some point out that they are not cheap. Ultimately, Tax Defense Network is a stable company with a stellar reputation offering a wide range of tax services and negotiation help. Not only that, but these services are available to anyone who finds themselves in tax debt (because they have no minimum debt requirement and service all 50 states). While we do wish they had more industry accreditations and a better refund policy, customer comments are still overwhelmingly glowing. We recommend working with them, especially those who prefer a great reputation, reliability, and quality. Generally, pricing is between $2,500 and $3,000 for tax resolution services. Prices varies some, depending on your specific situation. Only $500 is required to get started on your case. The rest can be taken care of with a payment plan. The company’s pricing depends not only on the amount of tax debt owed and the number of years of back taxes, but also the specific preparatory work required and the actions that will need to be taken with the IRS depending on the situation. With a thorough consultation with the potential client, TDN can determine the total cost their services will require—a flat price that never changes. This is paid over time, set up in payments that work for the client. That way, clients can see work being performed as they pay. TDN doesn’t charge retainers or other hour-by-hour or hidden fees. The company has no minimum or maximum tax debt they can work with. Since 1997, the company has seen and helped resolve $3.3 billion of tax debt through multiple avenues of tax relief ranging from Offer in Compromise (OIC) to tax liens and asset seizures. Through their Fire & Ice philosophy they bring clients realistic expectations regarding their tax situation by laying out the dynamics surrounding their dilemma on the table; but also aim to provide transparency by providing an ideal client experience. Today, Tax Defense Network has a 96 percent client satisfaction rating. The company offers client education on a variety of tax-related topics and supports a number of local and national charity causes, such as the American Heart Walk and the Wounded Warrior Project. Hours: 9am to 6pm EST; if you want to call outside of their hours, you can leave a message with your question and they will call you back as soon as they can. Due to the variety of services the company offers—many of which don’t focus on debt amount—there is not a specified minimum for tax relief. However, there are certain services and solutions that are cost-effective only above a certain amount. Those details can be determined in consultation with a tax analyst. They have been in business for 20 years. Tax Defense Network began in 1997 as New Star Credit Services, which provided accounting services to small businesses. Over time, the company changed its focus to tax resolution and IRS representation, and changed its name in 2007 to better reflect those services. Since 1997, the company has seen and helped resolve $3.3 billion of tax debt. They have members of the American Bar Association, National Association of Tax Professionals (NATP), National Association of Enrolled Agents (NAEA). Yes, they offer a free initial consultation. As with most other companies in the industry, if you’re looking for the very best information specific to your case, you will need to hire them. After enrolling with an initial payment, the client has three days to obtain a full refund. This window takes away some of the pressure that comes with making a commitment and allows for clients to change their minds if they decide to back out. After that, the refund amount is gradually decreased based on the work that has been performed. Tax Defense Network will work to resolve any discrepancies that clients have with their services. While TDN asks for $500 of the flat fee down so they can begin working, this may be paid according to the client’s ability and preference. For example, it can be split up into two payments of $250 or five payments of $100 over time. The company has support staff available on the phone and through online chat (which always shows a photo of the support agent you are talking to). We have found the staff members to be honest, helpful, and friendly. Spanish-speaking clients can talk to customer support in their native language. Tax Defense Network has an additional customer service department for current and past clients, which they call “Gold Star Client Care.” They encourage any dissatisfied clients to contact this department ([email protected]) and they will “make it right.” To gauge their overall client satisfaction, the company performed an internal review in October of 2012 and found that, in the previous 36 months, 94% of clients were satisfied with the service they received. Came thru for me and got me to a non collectible status. Dee Dee M my advisor gave me realistic expectations and came got it done!!! When we first contacted Tax Defense Network, they expressed confidence that they could reduce our tax debt (which was about $12K) and get the penalties waived. But over the next several months, they gave no evidence of ever even trying to obtain a reduction in our tax debt. In the end, we paid the full amount of tax owed, plus the penalties, in addition to the $900 we paid the Tax Defense Network. And we spent FAR more time in tax preparation than we would have spent doing it ourselves. They repeatedly made major errors in the preparation of the return. If we hadn’t verified their work, we would have owed thousands more than we did. And they took FAR longer to complete the work than they should have taken. We didn’t pay $900 in order to double our own preparation time, but that’s what happened. In the end, we should have done the work ourselves and saved ourselves all that time and money! I mis-reported stock sales in 2016 and was contacted by the IRS to pay back $16k in taxes + nearly $3k in penalties and interest. I contacted the Tax Defense Network and they said while they couldn’t guarantee I could get the interest and penalties waived, that they had never seen a situation in which that hadn’t happened with a case like mine. So I paid their $2,500 fee thinking at the very least I won’t have to deal directly with the IRS and that the service would pay for itself by getting the penalties and interest waived. I was ecstatic when they audited my taxes and found that the IRS was wrong, that I didn’t owe $16k but only $10k…great…then I wait and wait and wait…10 months before I get the go-ahead to pay the taxes but they were only able to waive $90 of the nearly $2k penalties and interest. Worse yet, I was told by the Money Resolver contact that they never get those fees waived…now I’m really mad because I was sold a line that I based on my decision on. In retrospect, I should have just taken it to my tax accountant who would have found the IRS discrepancy for a fraction of the cost. The other problem was that I had the money to pay the IRS 8 months before it was resolved but was told to wait to pay so that they could negotiate with the IRS…Mistake because then I ended up paying more penalties and interest during that time! From what I can tell, it’s not that hard to contact the IRS and work this stuff out without this service. They also were slow to keep me up to date with the status and passed me off to different departments along the way. Get a good tax accountant and then work with the IRS and your tax accountant directly. Denise Y literally changed my life when I was introduced to Community Tax. She was very positive and professional about educating me on how to clear up the mess I was. In with the IRS. She really motivated me to look forward and to see myself free from this nightmare! Ms. Y was also fast at responding to any of my requests and very thorough when explaining the results of my requests! Great work Ms. Y, you definitely made my life a whole lot easier!!!!! The staff and attorneys were good to work with, but the final resolution was not as favorable as I had hoped. I basically I paid Tax Defense network for nothing. All they did was charge me 2,600 dollars to send me to one of their CPAs and that cost me an additional 1,000 dollars. And the CPA messed around with IRS’s offer and it cost me an additional 860 dollars. So my advise-RUN do not use this company-Get your own CPA it is far cheaper. I have filled a complaint but I have had zero response, no customer relations from these folks. This company is completely unprofessional. They provided little help if any. They even don’t understand that they are required as an LLC to provide a W9 to the customer. They refused. They acted as if they didn’t even know what one is. Total Scam in hiring this company! Don’t do it! I wasn’t getting the paperwork that I needed on time. The people in customer service have a direct and clean answer. They can work with you with doing payments and that’s always good. Everybody has been lovely and they’ve been really good. Their there for the client to help them settle their tax problems with professional and educated employees. They help me with a past issue with great results. I would recommend Tax Defense Network to anyone to solve their IRS problems. I spent years with TAX DEFENSE Network, Paid twice $ 6,500( $13,000) and nothing happened to my tax relief. Communication with client isn’t very good. To many people handling one case or it gets passed off not sure. The service I received was stellar. Even when I was was unable to make a payment they were willing to work with me. Taking to long for resolution. To long. Delayed over thirty days. To start with the fe for tax defense was $3500, that money had to be financed as we didn’t have that . In a month and a half my pay was still being garnished and nothing was being done to help with the situation.So very hard to get anyone on the phone when we had questions or to just check on the status of our account.Finally with the help of a friend we were able to find a CPA in our area that took our information and on our behalf talked to the IRS and got garnishment stopped in just a matter of hours.So not only was tax defense really of no use to us we still have a $3500 debt to repay. Customer service is top notch. Representatives are friendly and very helpful. When I call I know who ever answers will help me. No follow up from your Tax Workers . I have been billed over $10K and no positive outcome. Reliable, attentive, prompt, pro-active, honest. Paid them a lot of money for doing absolutely nothing. By submitting this form, I consent to receive calls using automated technology from Tax Defense Network at the number provided and understand this is not a condition of purchase.